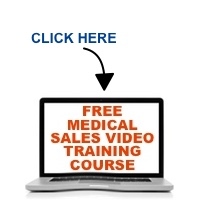 Building Relationships in Medical Sales–Stop Focusing on the Wrong Things! Most sales reps would agree that relationships are important in medical sales. Some even go so far as to say that relationships are everything. I agree that relationships are important, but I have found that many sales reps, especially new medical sales reps, have a distorted view as to what constitutes a good relationship and how to go about creating one. In this edition of The Medical Sales Guru Podcast, I attempt to dispel some perceptions that lead to counterproductive “bad behavior” when trying to build relationships and what I believe are the keys to creating constructive professional relationships with healthcare customers that support one’s sales efforts.